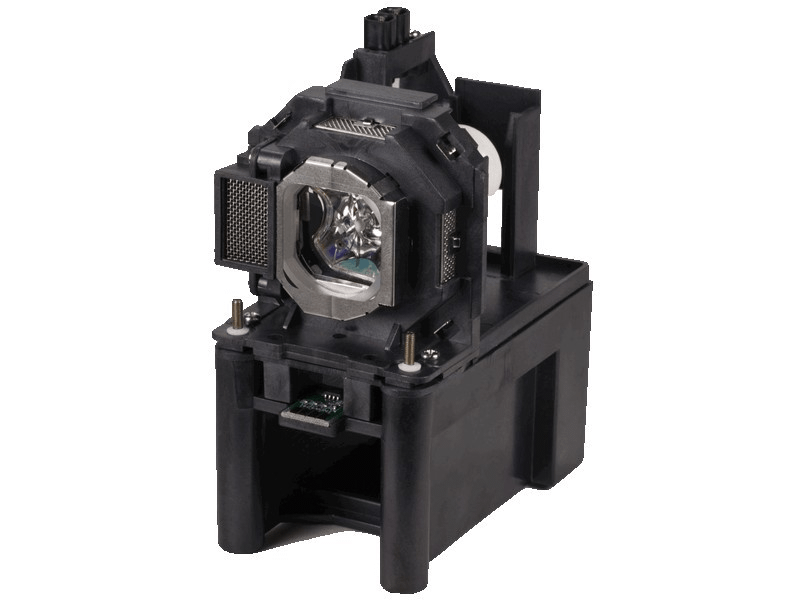 The ET-LAF100 Panasonic projector lamp replacement comes with a genuine original 250 watt Phoenix bulb inside rated at 4,000 lumens (brightness equal to the original Panasonic replacement). The ET-LAF100 lamp has a rated life of 4,000 hours (5,000 hours in Eco mode). Our ET-LAF100 Panasonic lamp replacement has superior brightness and lamp life than other cheaper generic replacement lamps being sold elsewhere. Purchase with confidence from Pureland Supply with free ground shipping and a 180 day warranty. ET-LAF100 Panasonic Projector Lamp Replacement. Projector Lamp Assembly with High Quality Genuine Original Phoenix Bulb Inside. Great product - this Panasonic lamp is built much better than the others we have tried. Service was great too - my order was shipped out the same day. From our initial phone call to the receipt of our lamp our experience was awesome. Very pleased with the quality lamp we received and the professionalism from our customer service representative. Thanks for the great experience, will be returning here for our next lamp. Lamp works great - you guys made my day! Received lamp on the day it was promised and it is working as expected. Thank You for the great service. We have been buying these Panasonic lamps from Pureland Supply for about 3 years now. Only had a problem once with the timer reset and customer service helped us through it. This is a great company to deal with and we highly recommend them for any projector lamps you need.